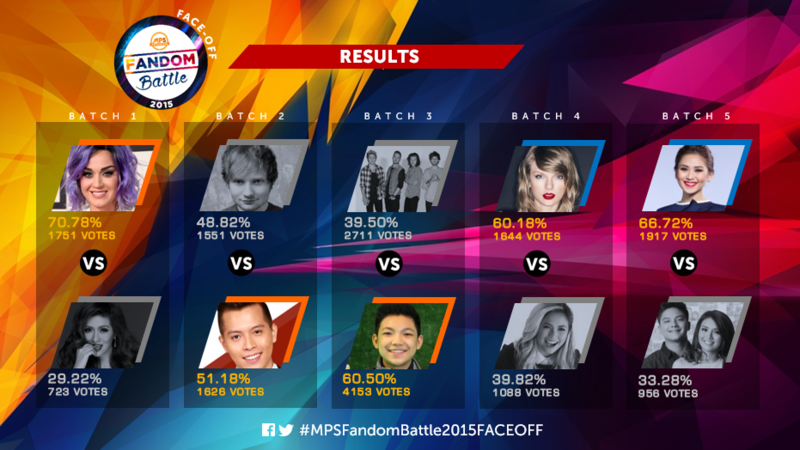 Voting lines opened for 12 days per face-off. 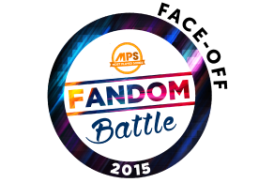 The fandom with highest percentage of votes per face-off gets a spot on the FINAL 7. Katy Perry or Angeline Quinto? Ed Sheeran or Jason Dy? One Direction or Darren Espanto? Taylor Swift or Yeng Constantino? Sarah Geronimo or Kathryn Bernardo/Daniel Padilla?